If you are Worry about the TV may hurt your children’s eyes? 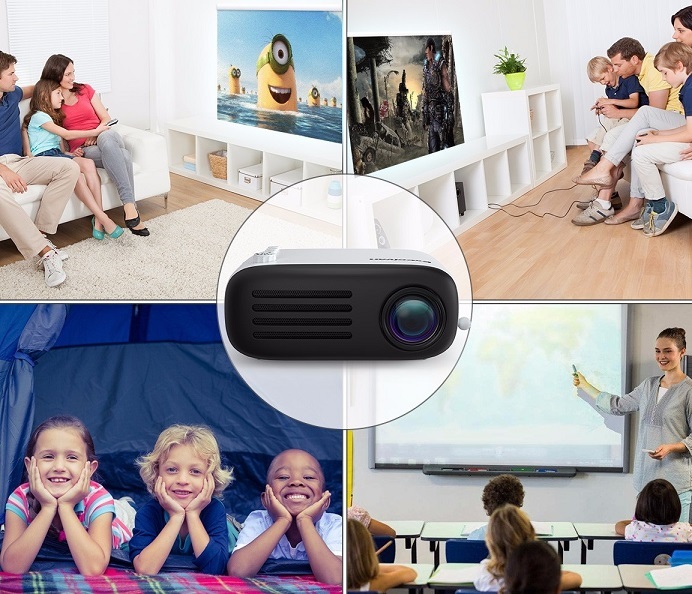 Excelvan YG200 mini projector will eliminate your worries, it comes with a scientific brightness, no harm for children’s eyes, they even won’t feel tired after watching videos for a long time. Combine with mini portable and cute appearance, it becomes a “new star” among children’s favorite toys, ideal for kids to play games, watching movies and animated cartoon, listening music and learning, etc. It can also be a cool Christmas or birthday gift that children will definitely love it. 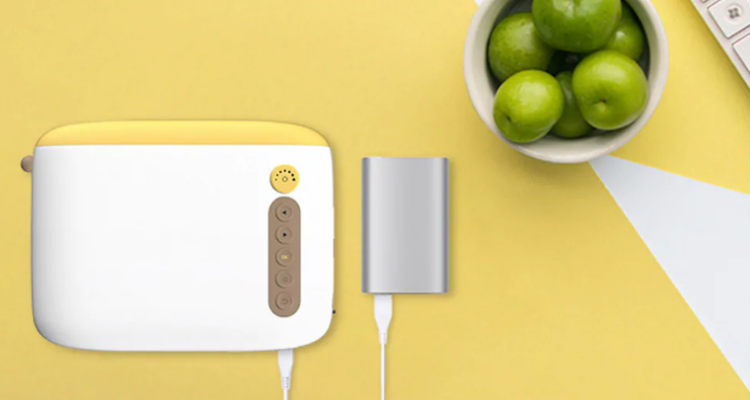 Currently, it is available at Gearbest for only $49.01. Excelvan YG200 mini portable projector is quite mini in size that measures about 5.3 x 3.9 x 2.36 inches and weighs only 630 grams. 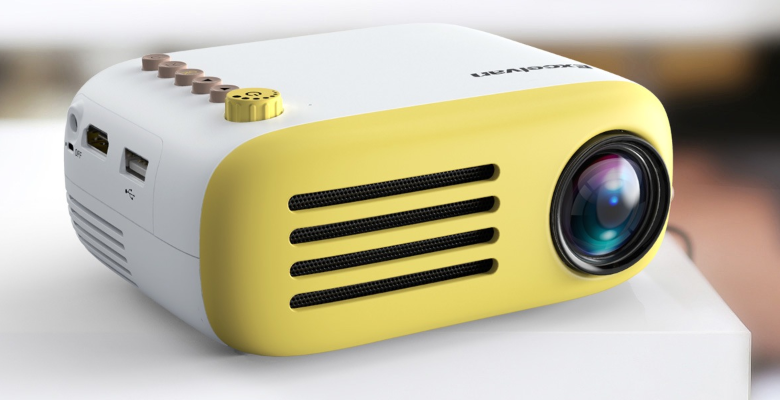 Unlike other models, the YG200 ultra-portable projector is designed unique rectangular design combined the art and human nature covering blue and white, embodying an energetic and young image to you. Despite it is in mini size, the unit offers great value. 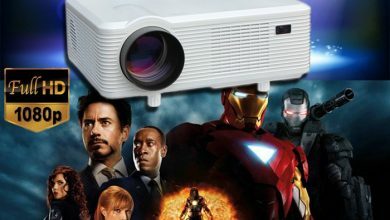 Excelvan YG200 is your best budget projector. 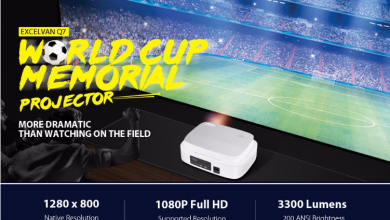 Cheaper than $50, with the 320*240 Native resolution, supports max 1080P videos playing, present you true to life image with 800:1 contrast ratio and 16.7 million displayable colors. It can be your best Christmas projector for your family & friend. In Christmas Eve, use Excelvan YG200 to enjoy the holiday movie with your families. What’s more, its 50 lumens is the optimal brightness for kids viewing, So it is perfect for teaching kids. Despite its high luminosity, the light source bulb is energy saving. This quality makes it safe for kids to view the projected image for extended periods without developing digital strain. Excelvan YG200 can project 94-inch large screen at about 3m distance, the projection size varies from 21 inch-94 inch while the projection distance varies from 0.7m-3m. 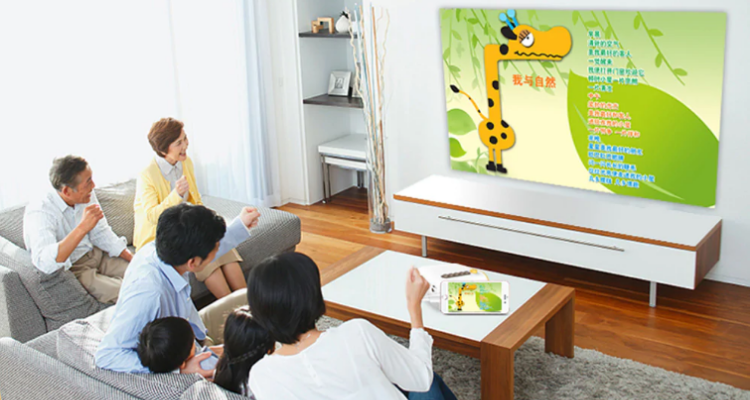 While our phone movies projector can offer 24 ~ 60 inches image size with the mini projector screen. Excelvan YG200 is equipped with multiple ports for ease of use, including HDMI, USB, AV ports and TF card slot, you can connect it with different devices like PC, smartphone, tablet, digital camera, TV box, DVD, etc. 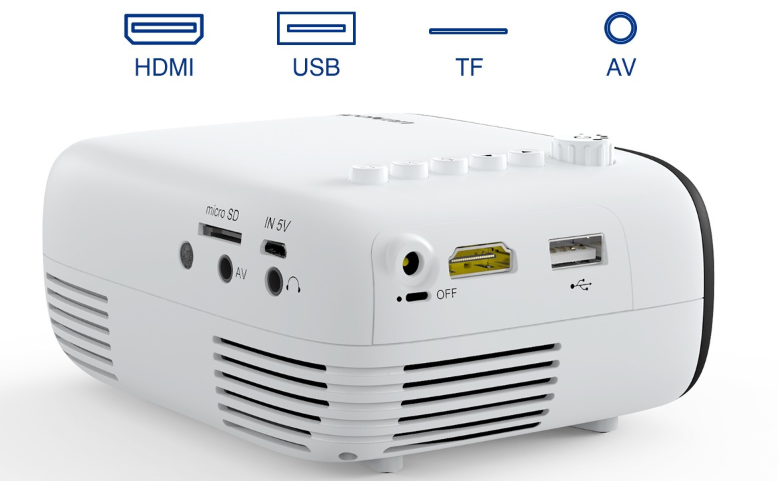 Excelvan YG200 mini outdoor projector is able to be powered by a power bank that can charge for your smartphone and laptop as well. Besides, this pico projector with a cute mini size is easy to be put in the bag. The built-in speaker can deliver a clear sound which will meet your daily needs, such as play movie, photo, and games. Coupled with the private projector’s high portability, the YG200 mini projector makes it perfect for hiking, camping, and travel. Excelvan YG200 mini projector is worth noting that the projector’s lamp can last for 30000 hours which means it can last up to 20 years (4 hours a day) so that you can save cost to change lamps. You can find this amazing Excelvan YG200 mini portable projector in a flash sale of Gearbest at a price of $49.01.